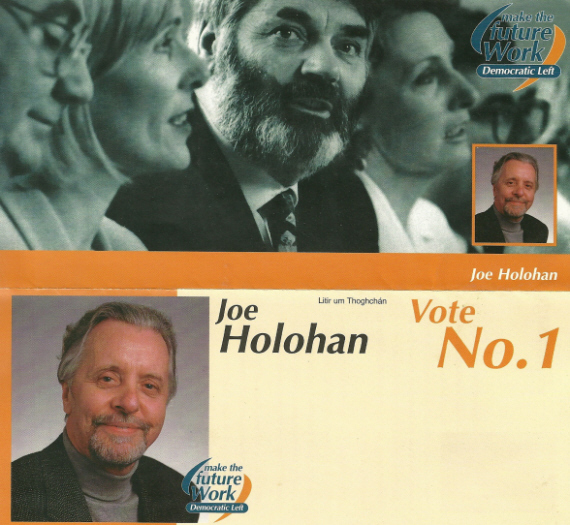 Joe Holohan of The Democratic Left from the Dublin North by -Election held on the 11th of March 1998. It was the last day that The Democratic Left appeared on a ballot paper (There was a by-election in Limerick East on the same day). Joe Holohan polled just 225 votes coming in behind amongst others the Christian Solidarity Party. 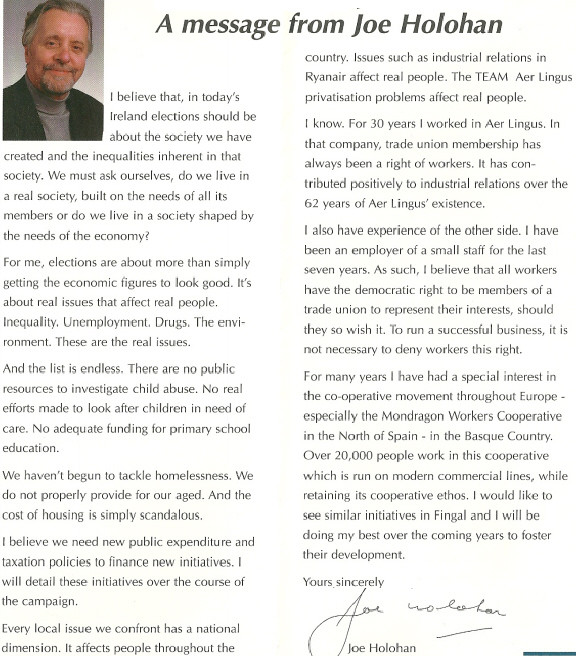 (result at electionsireland.org) The vote surely helped speed along the merger with the Labour party which happened less than a year later.